It’s not every day we’re asked to work on the interiors of an ancient tower in Ireland! 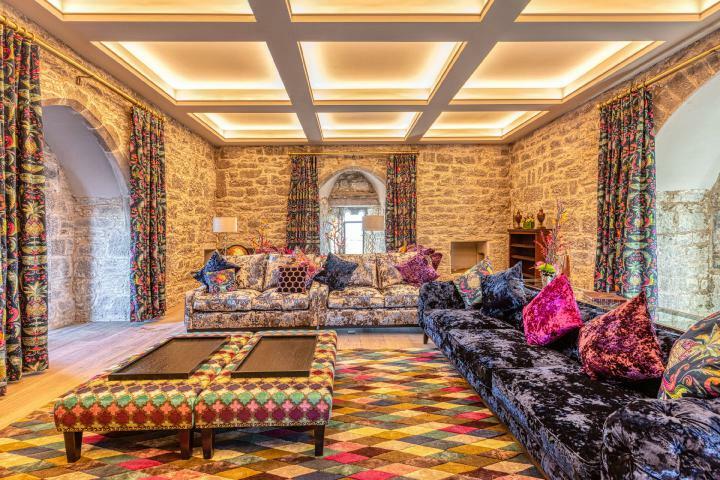 Playing a part in The Belvelly Tower House’s transformation from 600-year-old ruin to stylish home was an enormous privilege for The Design House team. Read more about the project here. The developer of this property in a bustling Yorkshire market town wanted to attract buyers looking for a high quality, individually designed, family home. Our sumptuous fabrics, quality furniture and accessories, balanced with the practical touches that make family life work, hit the spot - all of course, delivered to budget and on time! 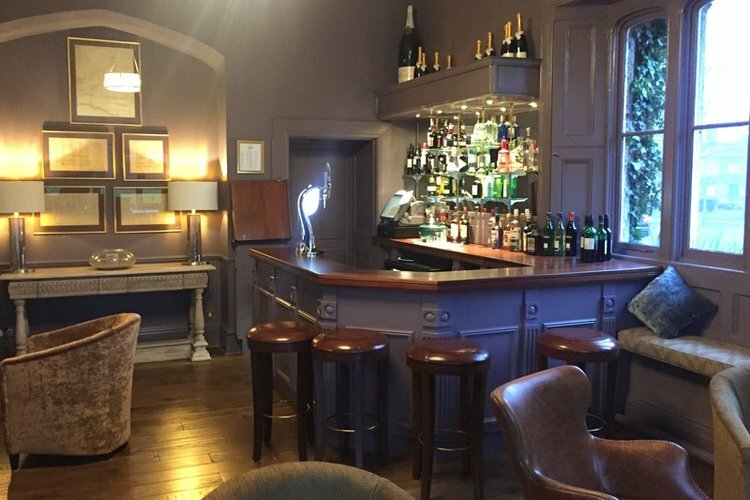 The Design House team has worked with The Parsonage on a range of projects including the concept design and planning, sourcing and delivery of the refurbishment of Lascelles Restaurant and the Gin Bar, and the installation of new soft furnishings in the hotel’s public spaces. This was another full-service design, supply and install project - in a rather gorgeous part of the world! A vital part of any project is ensuring that our design enhances the geographical setting of the building. 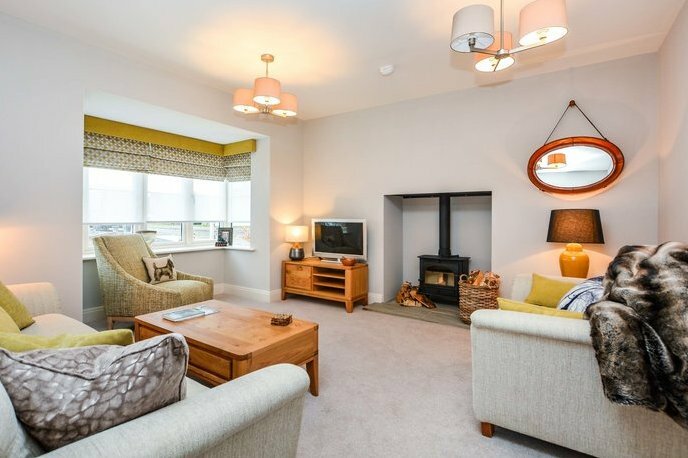 We chose this sunny, coastal theme to complement the gorgeous Yorkshire coast location of a show home we recently worked on. 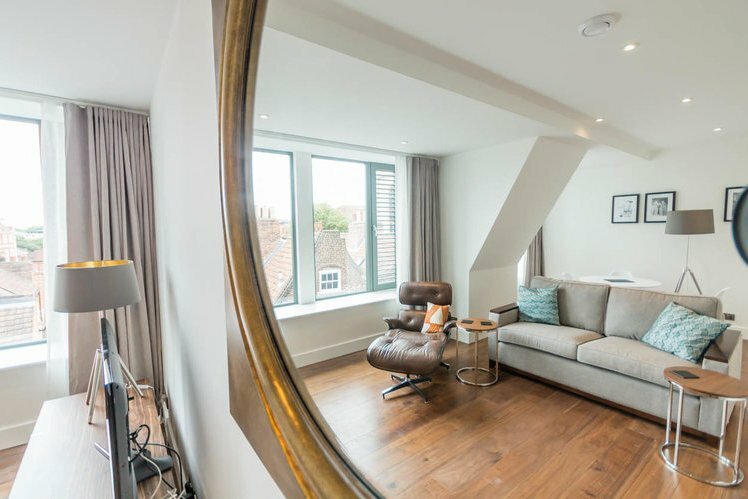 We provided a full concept design, supply and install service for this development of 25 turnkey apartments in the heart of the City of York. That involved sourcing everything from curtains to cutlery, paint to pillowcases and sofas to saucepans! This busy dental practice wanted a more boutique spa feel so clients would feel more relaxed. But practicality was essential so we chose hard wearing, contract-grade floor and wall coverings for easy cleaning and durability, alongside more luxurious design accents.